The Rebel Sweetheart. 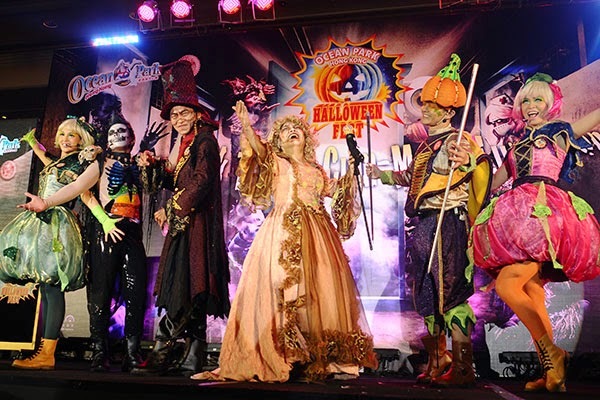 : Scary fun at Ocean Park Hong Kong Halloween Fest 2014! 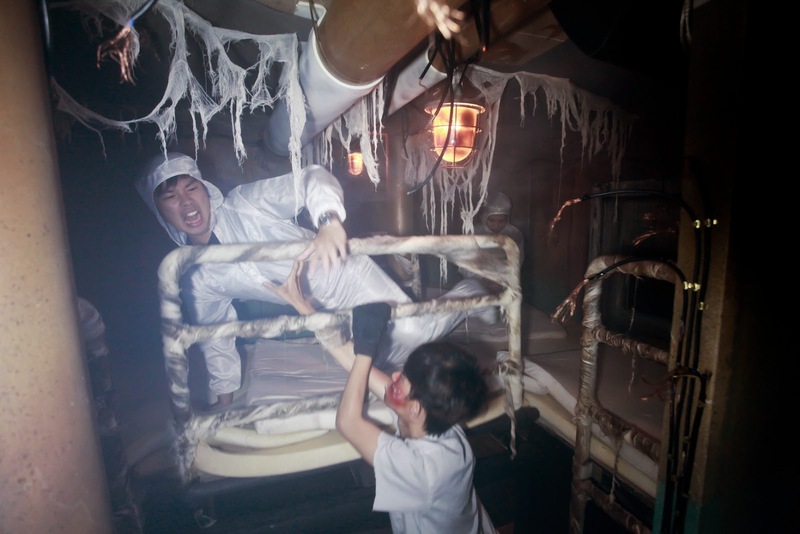 Scary fun at Ocean Park Hong Kong Halloween Fest 2014! 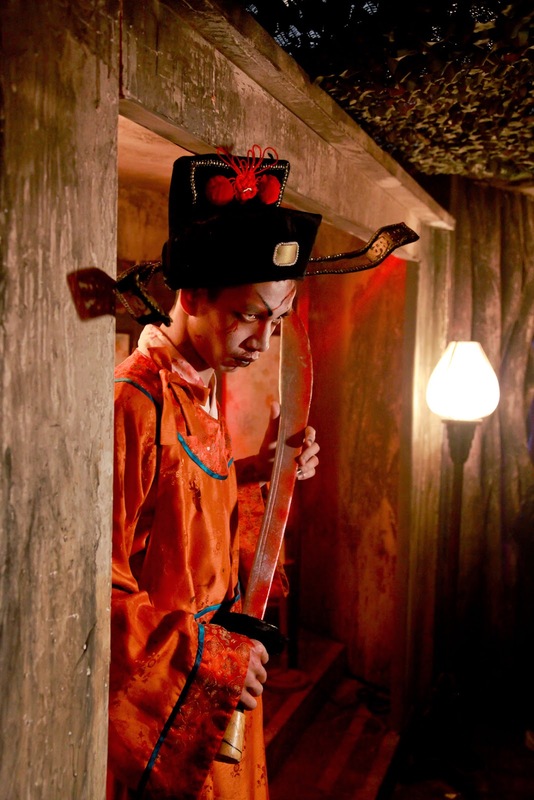 Halloween is just around the corner, and Ocean Park - Hong Kong's unique, homegrown theme park - is now set to give its visitors a memorable, spook-tacular, scream-tastic experience. Performers from Ocean Park Hong Kong. H14 at Thrill Mountain, The Summit. H14 presented by Modern Education. Admission to this ultimate haunted attraction will be restricted to persons aged 16 or above, and requires online registration in advance. Those brave enough can take the challenge alone, or go in a group of up to six people. 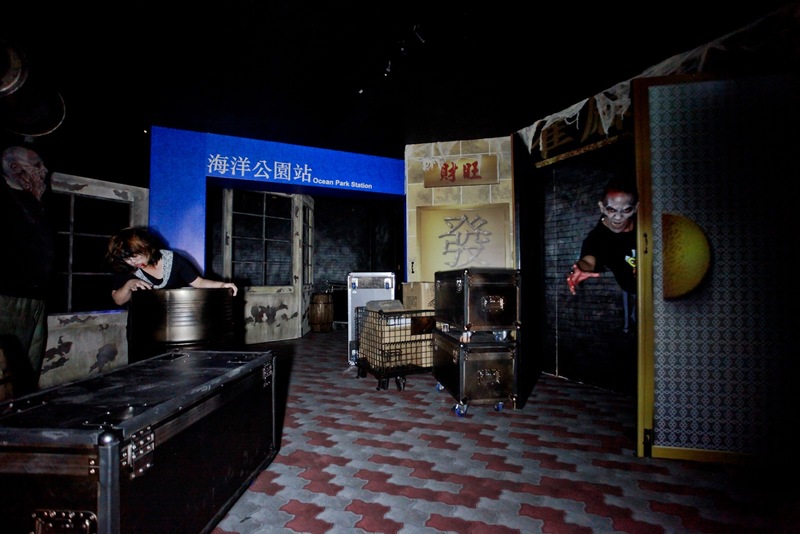 Different from the usual spooks, H14 is designed to challenge the limits of the senses and the fright tolerance of each guest, who must overcome their phobias to complete different tasks as they advance through a series of locked chambers. More hauntingly still, the experience of each guest is specifically customized based on personal information collected before entering the attraction. Rigor Mortis Live at Cable Car Plaza, The Summit. 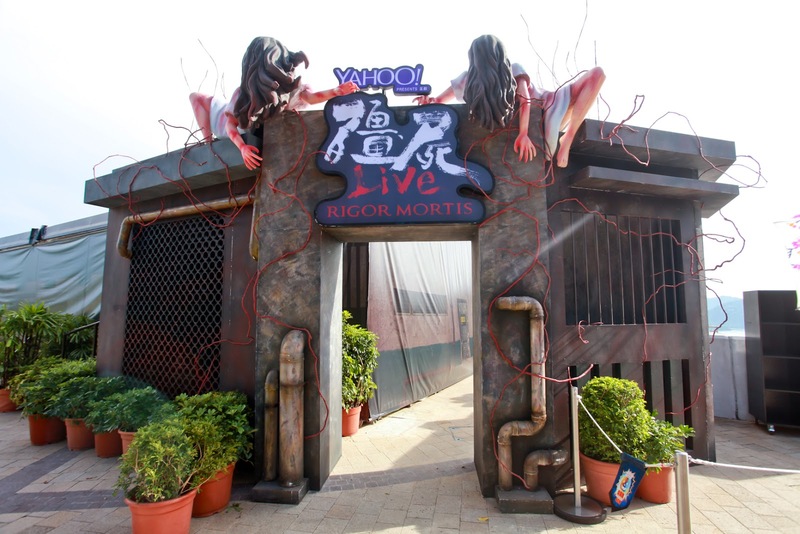 Rigor Mortis Live presented by Yahoo! Hong Kong. 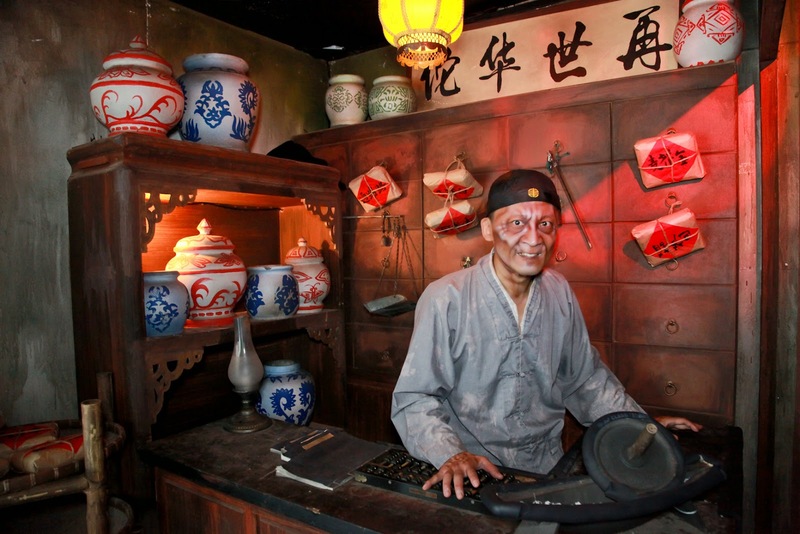 Together with film director Juno Mak, this attraction brings to life scenes from his award-winning movie, Rigor Mortis. This attraction will have its guests walking through dark corridors while being chased by a masked vampire. Horror-wood Studios at Waterfront Plaza. One of Ocean Park's 'transforming attractions', Horror-wood Studios is actually Phantom Studios during daytime. At 5pm, the lighting, music and even the set design will change to reveal a new adventure of terror, thereby transforming the attraction into Horror-wood Studios. After guests leave the attraction, they can review their journey as captured on camera. A selfie video camera is also available for rent – a first for haunted attractions worldwide – so guests can capture and take home their most frightful moments. Forest of Doom at Thrill Mountain, The Summit. A second transforming attraction is themed on the forest, changing from Forest of Legends during the day to Forest of Doom in the evening. In both incarnations, guests can collect unique commemorative seals on a complementary Ghost Journal at different spots throughout the attraction. Chinese Mad-icine Hall at The Abyss, The Summit. Not for the faint of heart, this 'intense scare' attraction features floating organs, a maze of corpses, and a mad doctor ready to experiment on his guests. 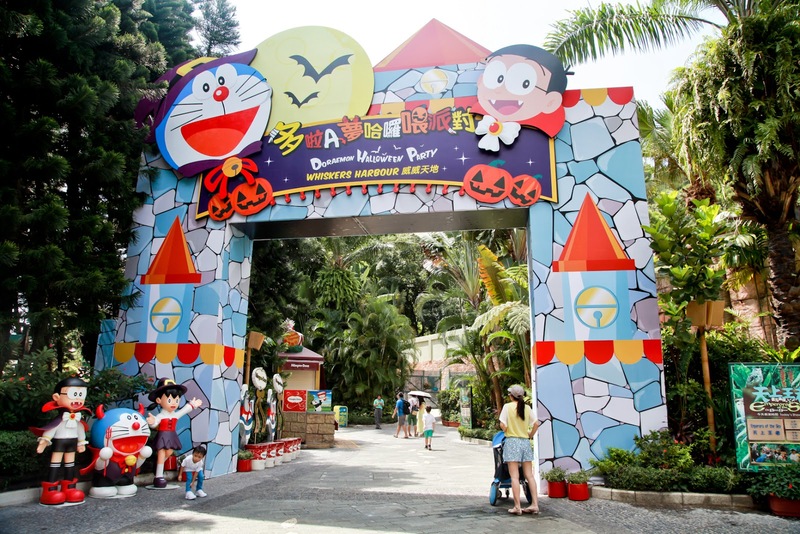 Asia's first Doraemon-themed Halloween attraction, Doraemon Halloween Party is catered to families for some good, clean, child-friendly fun. 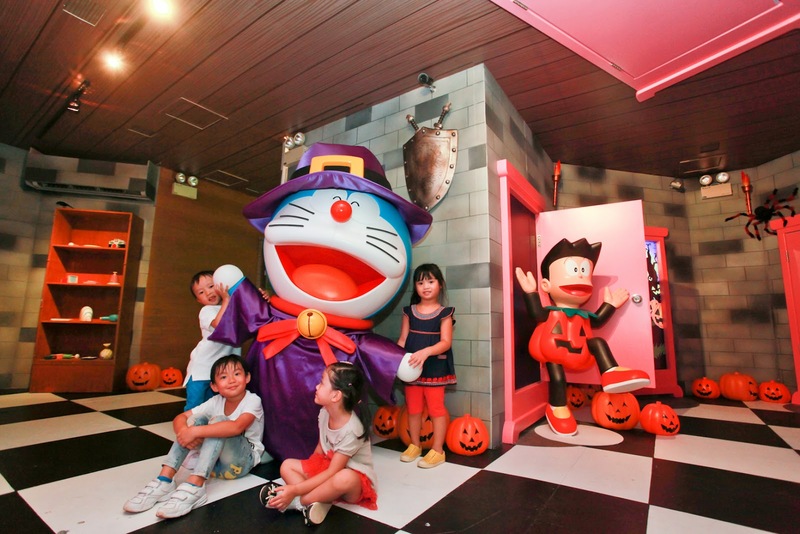 Doraemon & friends will showcase their new Halloween looks in Asia for the first time at Whiskers Harbour, where they can interact with the visitors. Guests will be able to visit the Doraemon House of Gadgets, featuring his favourite gadgets such as the “Time Machine” and “Anywhere Door”, and take photos with various Doraemon decorations and meet-and-greet the gang of characters. Doraemon fans will also love the Doraemon-themed food and drinks, and merchandise. During Halloween Fest, guests can enjoy fun and scares all day and night for the price of one regular ticket. As an added treat, Philippine Airlines passengers with valid boarding passes will enjoy a 12-percent discount on Ocean Park admission tickets. This promo will run until December 31, 2014. In addition, Ocean Park visitors can get a 10- to 15-percent discount on admission to 21 other theme parks worldwide, including our very own Enchanted Kingdom. Looks like fun, i am just not into haunted places.. lol i do not like to be scared.. This would be so awesome to see indeed. The costumes are amazing just like everything else. Thanks for sharing. That is so cool! I love that it's not too scary! My son would be so thrilled to go! This looks really awesome! I would love to check this out with my kids. I want to experience Halloween at theme parks most likely in Hong Kong.